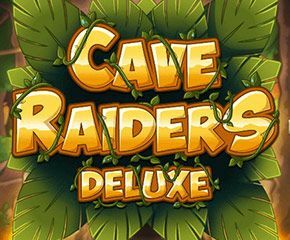 Cave Raiders Deluxe slots is a game that appears to have gotten a lot of ideas from Tomb Raider and Indiana Jones. The slot game is one that has the explorer adventure theme. Developed by Nektan is sure to be one that would drag game players into its land of adventure. Read on to discover just how Nektan has been able to create an adventurous theme by merging Lara Croft and Indiana Jones. Nektan is a developer that is relatively new on the scene. Although it is relatively new, it has taken giant strides within the few years of its existence. To the majority of game players, Nektan is a name that they have not come across. However, to those who enjoy slot games on their mobile devices, Nektan should neither sound new nor strange. Nektan was established in 2007 and is based in Gibraltar with offices in London and Los Angeles. In 2013 it acquired Mfuse Ltd, a mobile development company. By inheriting the already laid down platform, it has been able to effectively churn out quality games. As a testament to the effectiveness of its business model, Nektan was listed publicly in November 2014. Cave Raiders Deluxe slots have five reels and twenty-five paylines. The slots game has two characters, male and female, standing on either side of the reels. The female character could effectively pass off for Lara Croft while her male counterpart tries his best to look like Indiana Jones. In the background is a rocky jungle terrain, adding to the adventurous explorer theme. The symbols in Cave Raiders Deluxe slots include a snake, an aeroplane, statues, a skull and the standard slot symbols A, K, J, Q and 10. The standard slot symbols are the low-value symbols while the other symbols are the value ones. The skull serves as the wild. As a result, it can be used to replace any of the other symbols except for the scatter symbol. This means that with the wild, players can replace needed symbols in order to guarantee a desperately needed win. The scatter in Cave Raiders Deluxe slots is the aeroplane icon. If a player gets this icon three or more times, he would be eligible for free spins. Landing the scatter three times would result in 15 free spins; landing it four times would result in 25 free spins while landing it 5 times would lead to a whopping 50 free spins. Players can bet from 0.01 to 1 credits on each payline. The maximum bet is £1250 which is due to the fact that £50 is the maximum amount that can be gotten for each of the 25 paylines. 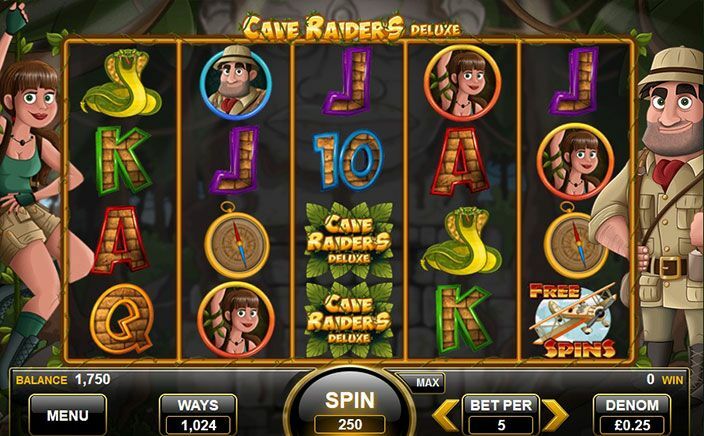 Also, Cave Raiders Deluxe slots produce a maximum payout of £250,000. With an RTP of 96.6%, the odds are that you would walk away with money in your pocket. This slot game is one that would appeal to those actively in need of an adventure. Considering the fact that it was made for mobile platforms, the dearth of extra bonus features is excusable.